You may not be able to convince your little one just yet, but organization can be fun, and it can start with the Sort n Store Toy Chest - Primary Colors. With an interior capacity of 6 cubic feet, larger toys can be easily stowed away for another day. 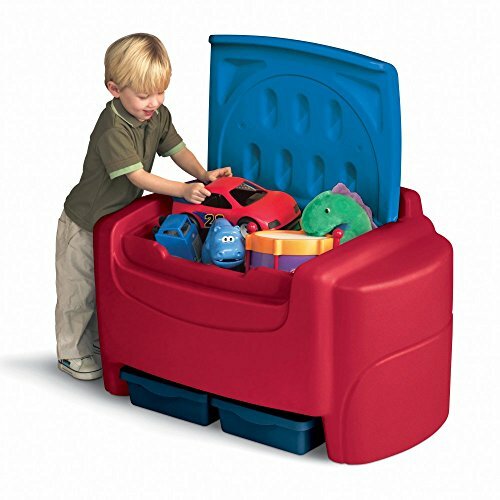 Two removable bins at the bottom of the chest can hold smaller toys for easier organization, rather than just letting them fall to the bottom of the main compartment. The main lid detaches for safety, and the solid plastic construction of this chest is durable and will simplify cleaning when the time comes. Finding the toys to fill this chest is much easier than finding them in the dark when you step on them, so get your organization started with this simple, spacious chest. If you have any questions about this product by tiny products, contact us by completing and submitting the form below. If you are looking for a specif part number, please include it with your message.